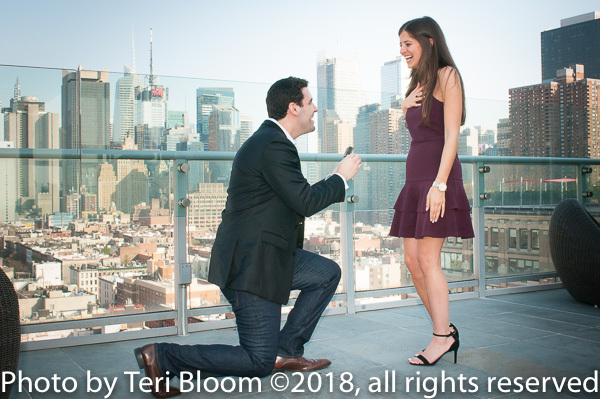 What better backdrop to use than our amazing New York City skyline to propose to the girl of your dreams? We covered this surprise wedding proposal engagement high atop NYC and it was a perfect and wonderful afternoon. If you’re planning a surprise wedding proposal, bridal shower or a engagement party in NY, we’re happy to help. With a surprise wedding engagement proposal, I usually hide where I’m able to see the couple approaching the planned proposal location. As everything unfolds in the best of ways, we cover the surprise and reactions with candid photos, then take some posed shots. I can’t think of a greater job to have! 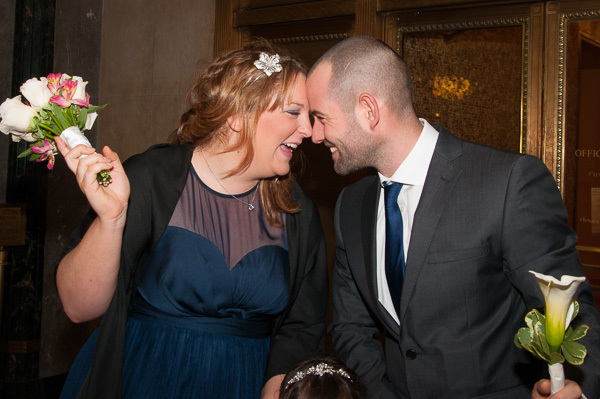 Lindsey and Steve have always loved New York City and decided to fly over from England and marry at NYC’s City Hall. They met in Washington Square Park so they could grab dinner in Soho, but little did Chrissie know that Adam would be proposing instead!